Completeherbs: Guyabano: Cure For Cancer? The guyabano (Anona muricata) is a tree that grows about five to seven meters high. It bears a pear-shaped fruit that is green in color and has soft spines. This tree is native to the Caribbean, Central America, South America, and African countries in the sub-Saharan area. The tree is also able to adapt to the tropical climate and could be found in most countries in Southeast Asia. The matured fruit usually weighs about two to five kilograms and is ovoid in shape. The skin is thin and it has a whitish pulp that is soft, fleshy, and fibrous. The taste is distinct, with a tangy citrus taste. The fruits are harvested when they are mature, when the skin of the fruit is yellowish or shiny green in color. The guyabano has been found to possess a lot of medicinal properties that a lot of people would definitely benefit from. One article from 2008 in the African Journal of Traditional Complementary and Alternative Medicine reported that a study done on diabetes-mellitus afflicted rats that were fed with guyabano actually showed a significant lowering of their blood sugar levels. Separate studies conducted also showed the ability of guyabano in reducing alleviation, fever, asthma, arthritis, and skin infections. 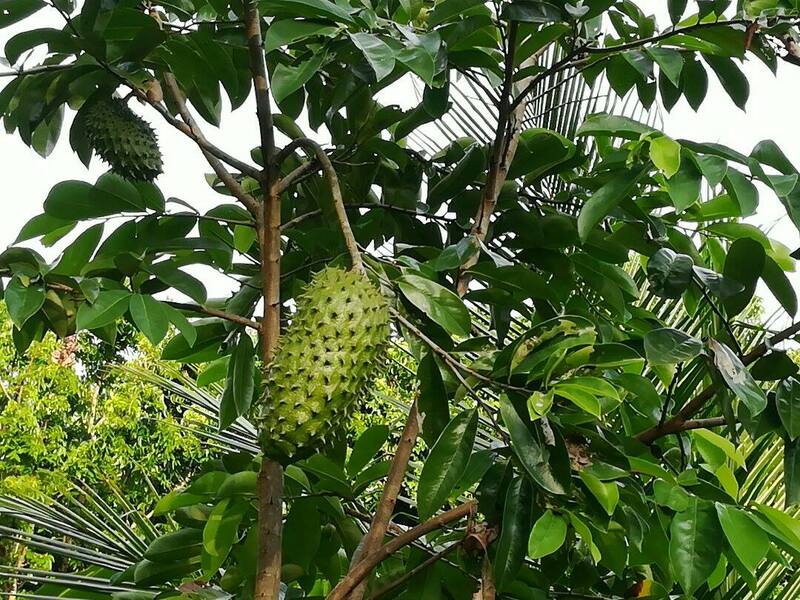 There are also studies that claim guyabano to be good for those who are suffering from herpes simplex infections, liver problems, and even hypertension.